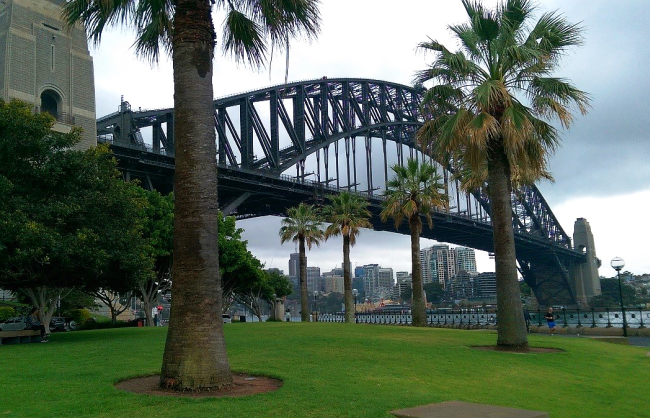 The 9th Australian Congress on Applied Mechanics (ACAM9) was held in November at the University of New South Wales (UNSW) in Sydney. Engineering Photonics was represented by Edmond Chehura who was invited to present his work on fibre Bragg gratings for structural health monitoring. The conference provided an international forum for researchers, industry practitioners, engineers and postgraduate students to promote, exchange, and disseminate recent findings on contemporary and wide-ranging topics in applied mechanics. 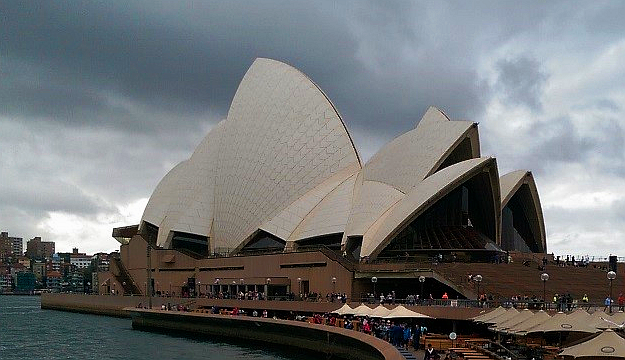 Delegates were provided with site tours of the Australian Nuclear Science and Technology Organisation's synchrotron facility and UNSW's centre for automated manufacturing of advanced composites, as well as a banquet dinner on a cruise ship in the Sydney harbour. Edmond's invited talk was titled 'Structural monitoring using in-fibre Bragg grating sensors' and discussed Engineering Photonics' expertise in the monitoring of a range of processes such as manufacturing, structural testing, and materials characterisation. His talk had particular emphasis on novel case studies in the process monitoring of advanced fibre-reinforced composites. Examples included an aircraft tail-cone assembly and superconducting magnet systems that were monitored using optical fibre sensors that were capable of multi-functional and multi-parameter measurements. 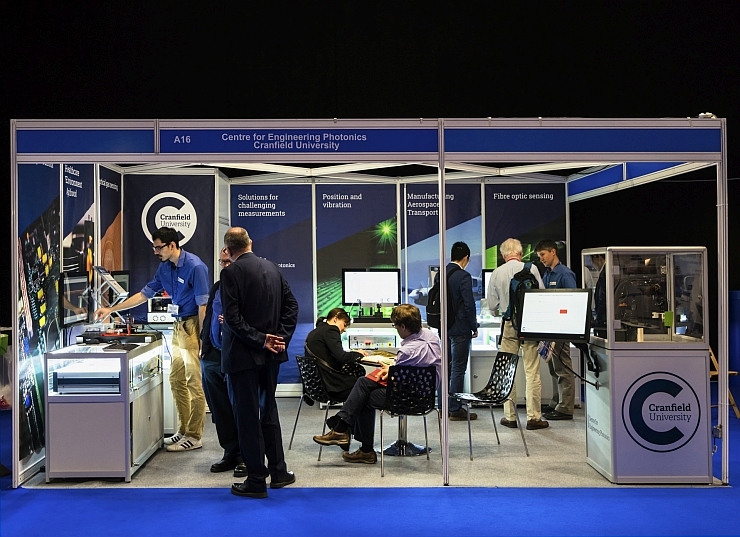 In October, the Engineering Photonics team attended Photonex 2017; the UK’s premier showcase event for photonics and light-based technologies. The event was held at the Ricoh Arena in Coventry; home of the Wasps rugby team and Coventry City football club. We were one of more than 90 companies and institutions exhibiting and were there to demonstrate some of the optical sensing and measurement solutions that we have been developing. 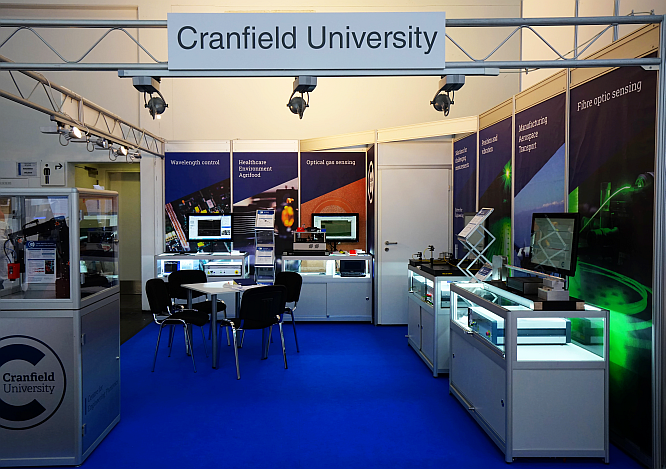 The systems on display were the same as those presented at the trade show in Munich earlier in the year with the addition of a dual-channel swept source optical coherence tomography system for measurement of flow velocity in micro-fluidic channels. More details on the individual demonstrators can be found here. In addition to the trade show, the event hosted The Enlighten Conference, which included over 120 speakers in 15 programmes. Engineering Photonics had three talks in the conference, all within the Optical Metrology for Manufacturing programme. 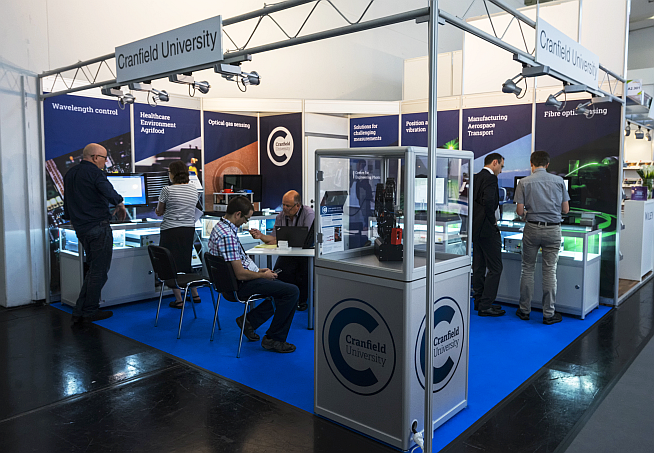 In June, 8 members of the Engineering Photonics team attended the Laser World of Photonics trade show in Munich. This is one of the world’s largest trade shows for optics and photonics and is held biennially at Messe München to the east of the city. This year there were nearly 1,300 exhibitors and more than 32,000 visitors. 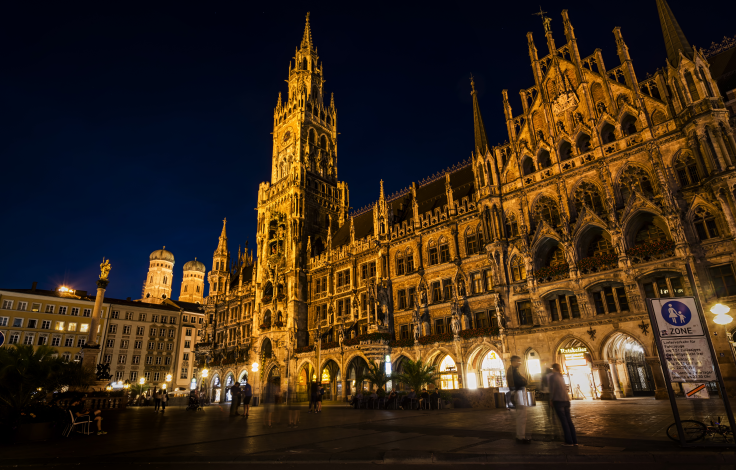 The Neues Rathaus on Marienplatz. After a hot and tiring first few days setting up the stand and all the demonstrators, we were finally ready to begin the show. Although we were dwarfed by the Hamamatsu stand opposite, ours looked very impressive and professional by the time it was completed. The stand was very popular and we had many visitors, both new and well-known, from companies and universities around the world. It was a job to keep track of all the business cards that we had acquired! At one of the quieter times during the fair. In addition, the trade fair is held in conjunction with the World of Photonics Congress which holds a number of conferences including SPIE Optical Metrology, and CLEO. The group had three talks in the conferences presented by Thomas, Vangelis, and Tom. Details of the talks are provided below. It was a very busy week but we still found plenty of time to enjoy the sights of Munich and the Bavarian beer and sausage! 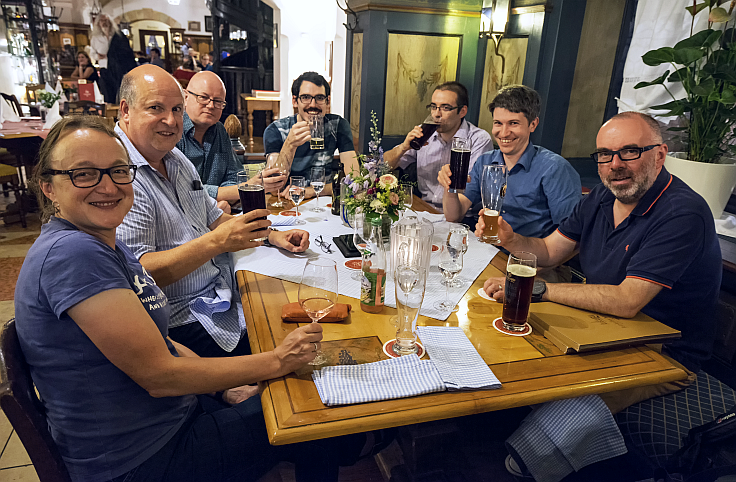 Jane, Ralph, Kevin, Vangelis, Tom, Thomas, and Steve (L-R) enjoying a drink at the Ratskeller. 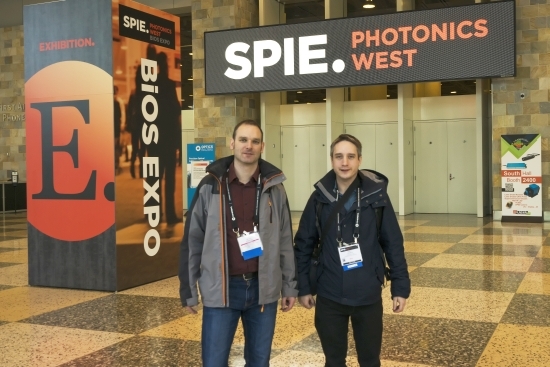 Photonics West, the world's largest multidisciplinary event for optics and photonics with over 20,000 delegates, was held at the Moscone Centre in San Francisco from 28th January to 2nd February 2017. Engineering Photonics was represented by Daniel Francis and Sergiy Korposh (now a lecturer at Nottingham University) who presented their work at the BIOS conference which specialises in biophotonics, biomedical optics and imaging. Sergiy and Dan at the Bios conference, Photonics West. Dan presented work on spectroscopy for point-of-care diagnostics using mid-infrared quantum cascade lasers and Sergiy presented a paper on biomedical application for optical fibre sensors.